Genesis Nov 25 2014 12:08 pm I wanted to stop by your page Ms. Baek Su-Ryeon. I am watching you in Pride and Prejudice, and I can truly feel the love that you have for the character Kang Soo. The way you have breath life into the Grandmother of Kang Soo and the uncle, is really wonderfully portrayed. I love the way you took Chan in and how you love on that little boy. And I love the 3 meals a day to survive in this world logic...you translate grandmother to all, no matter what the race. 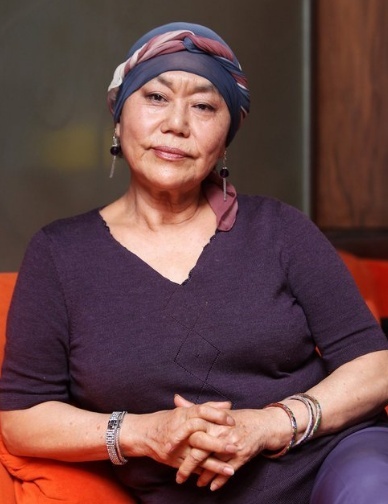 I think of my grandmother when watching your character...she nurtured us, feed us, gave us words of wisdom and kept family together...it's going to be interesting to see what your character knows about Kang Soo, and his as well as everyone elses connections to each other in the boarding house. Continue to do wonderful work, and have a long life with endless success.